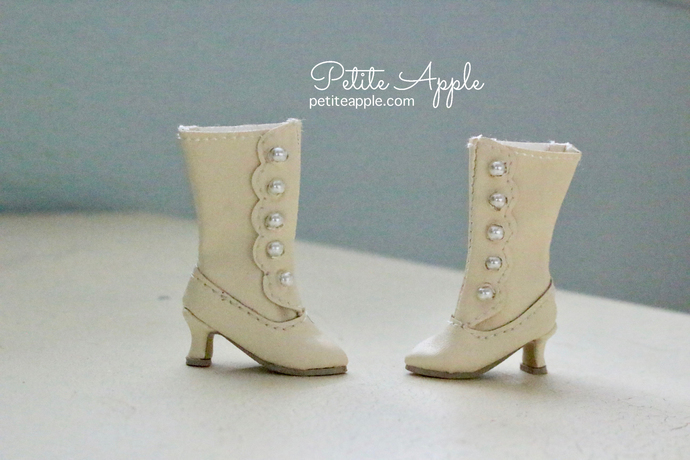 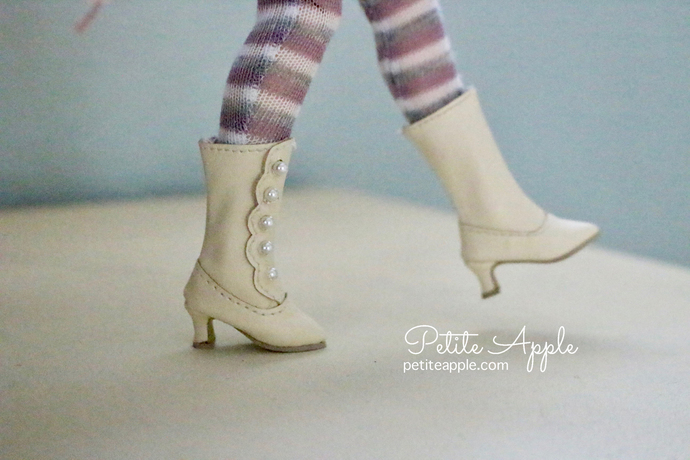 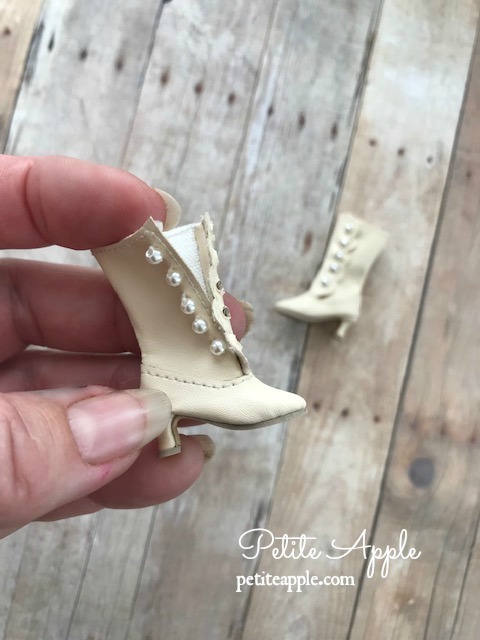 These boots are made for Petite Apple from my own design. 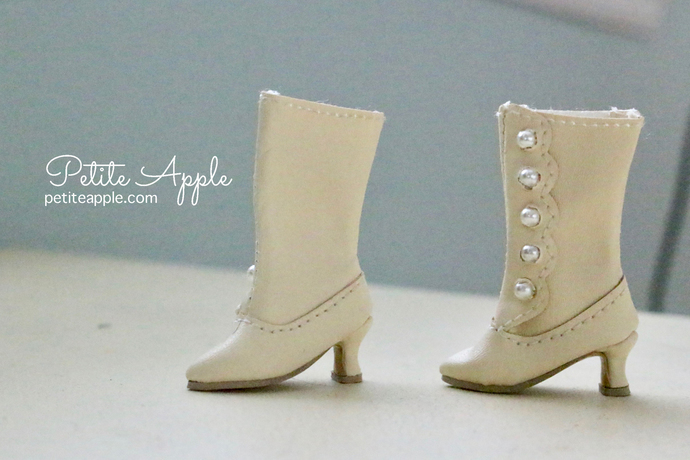 This is the revised 2018 version with a spool heel. 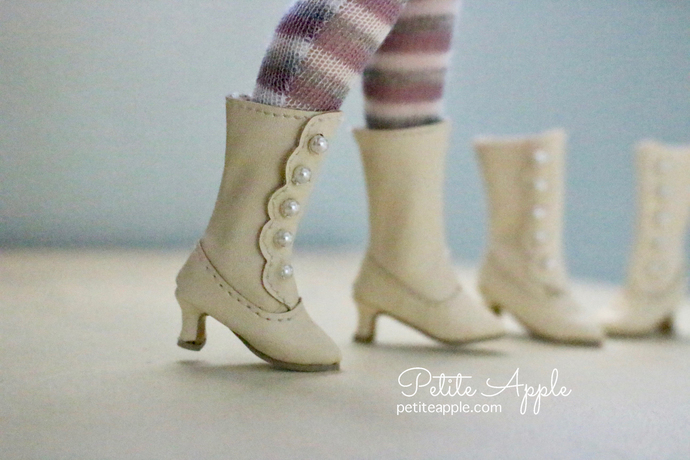 They fit all Blythe legs and feet. 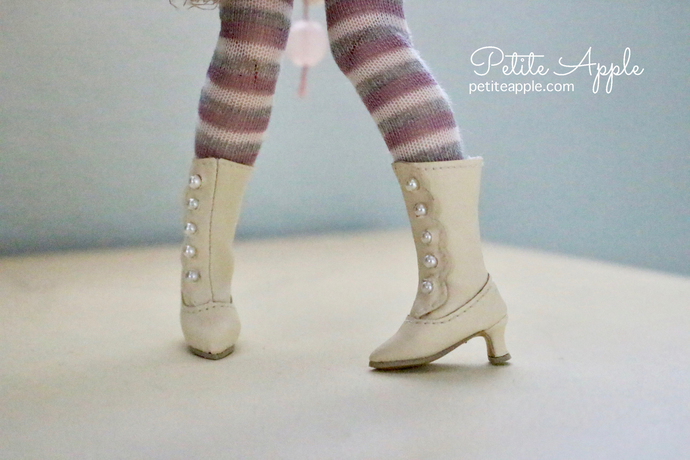 They also fit other 1/6 BJD dolls with a similar foot size. 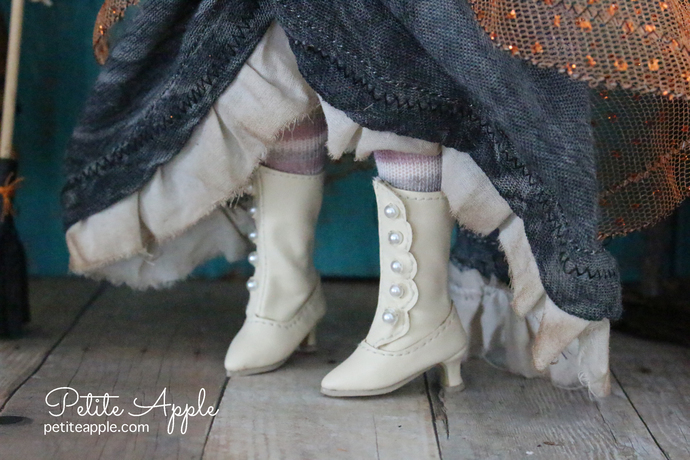 These Victorian boots are an original design by Marina Lenz 2018.